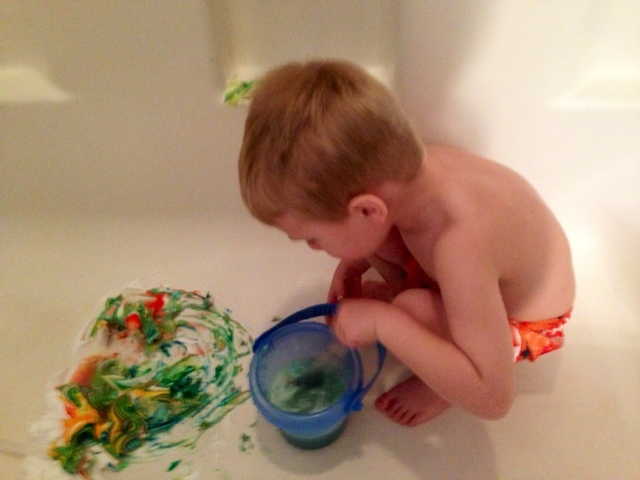 Because of the messy factor, we did this art project in the bath tub. 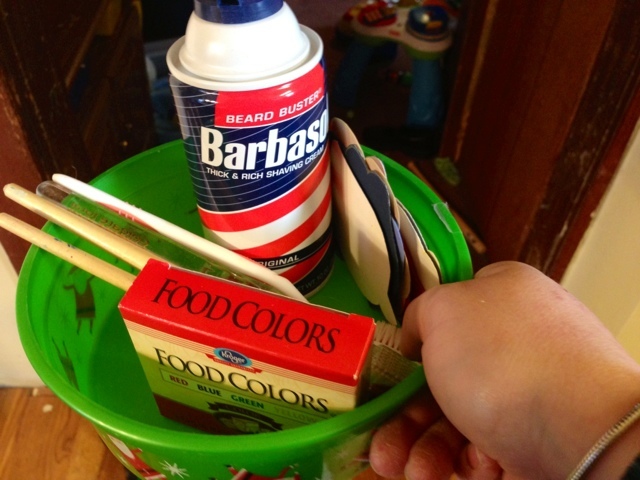 The ingredients are basic: shaving cream, food coloring or paint, and paper. I added to this by cutting our paper into spring shapes and adding tools to use, such as paint and toothbrushes (old ones, of course), a plastic spoon, and even a little shovel. The prep work did take some time because I was using cookie cutters as stencils to make the shapes and then cut them out. 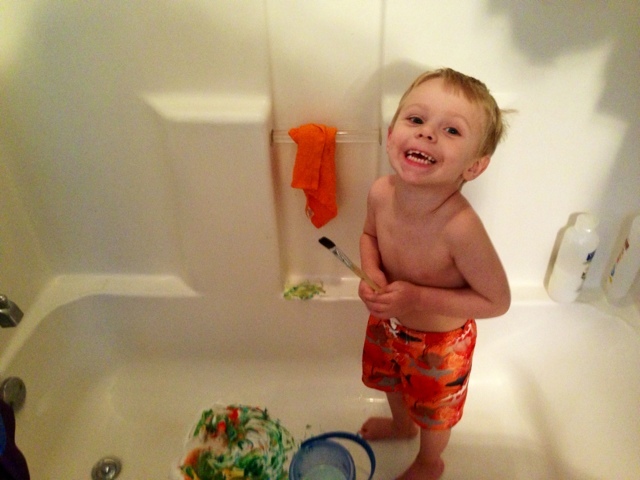 Daven enjoyed using the craft scissors to cut along side with me. 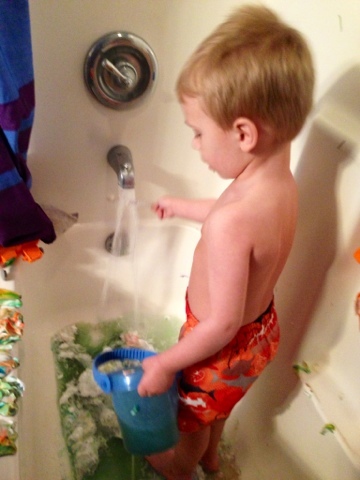 Swim wear isn't necessary - I put him in some old trunks because I knew I wanted to take pictures of the process. 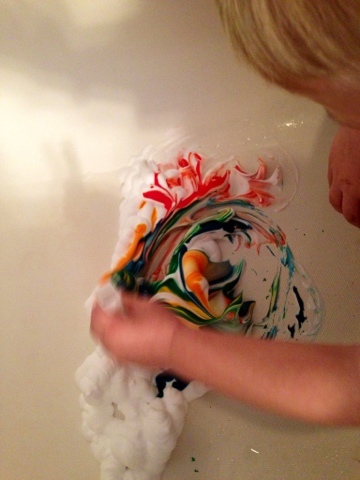 First, you squirt out a generous amount of shaving cream and then drops of color. 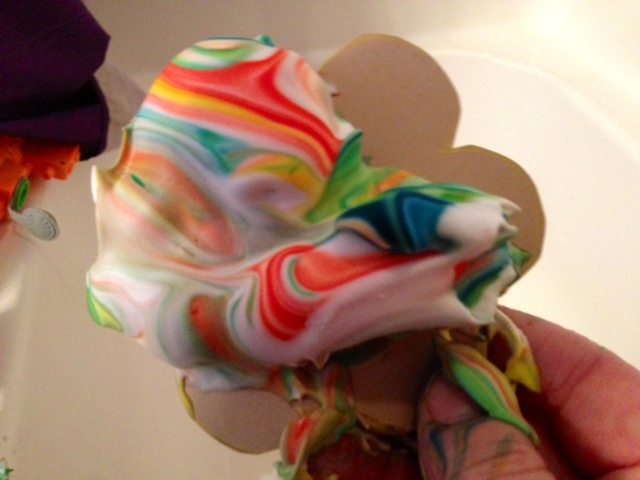 Next, give it a swirl, and see how the colors mix and blend together. 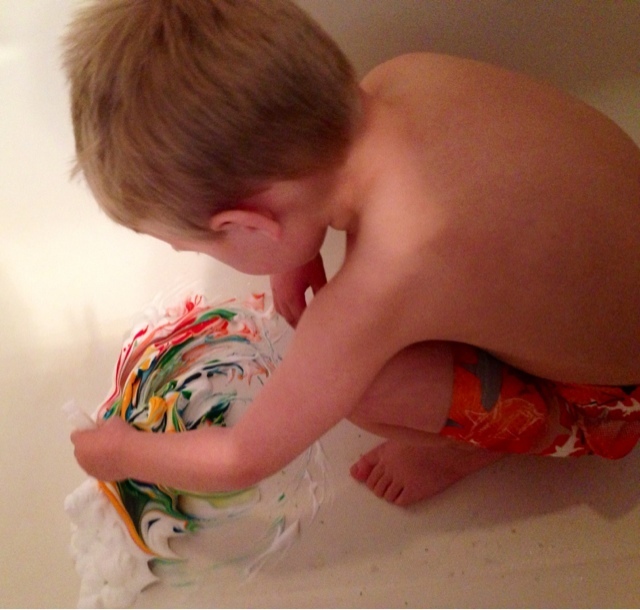 Take your paper and press down onto the shaving cream paint. 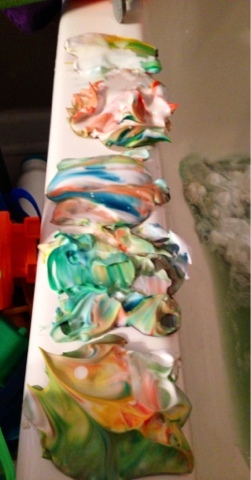 Or you can also use a brush to paint it on as well, although that doesn't quite give the same marbling effect. 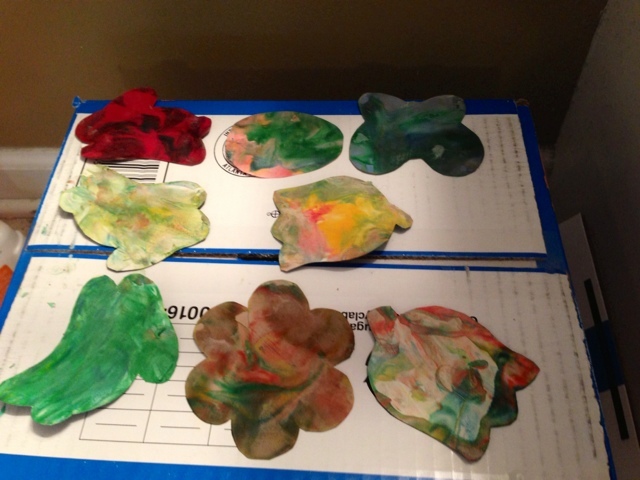 Here's some examples of what it might look like after pressing the paper into the shaving cream. 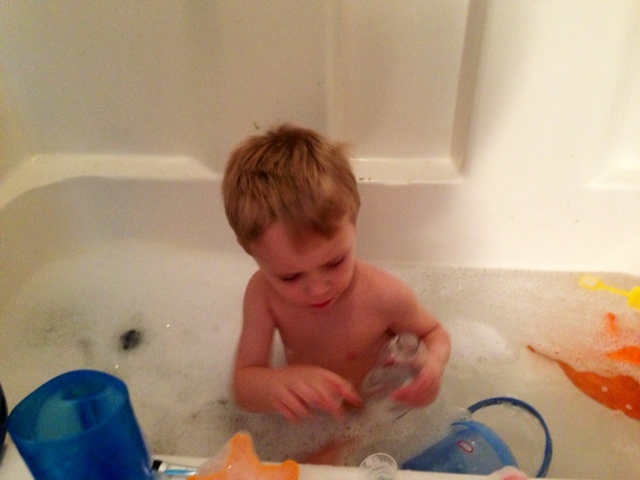 Clean-up is easy when you're working from the tub! 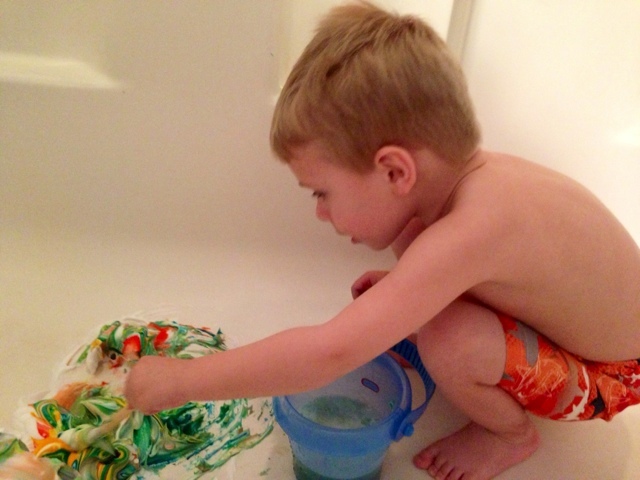 It's also easy to transition from crafting to bath time. 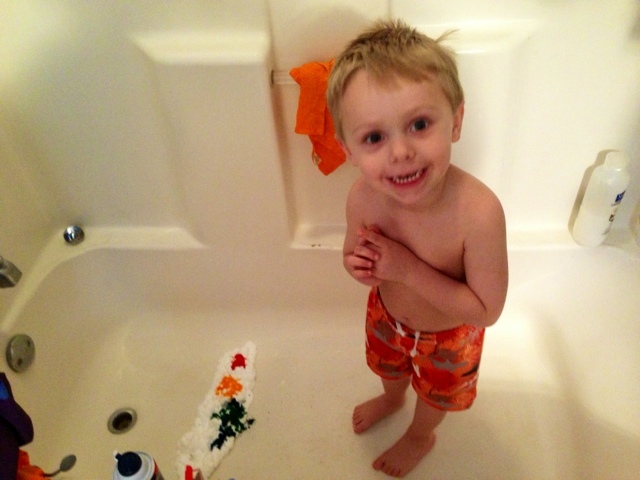 After the shaving cream has had a few minutes to rest on the paper, wipe off the extra. 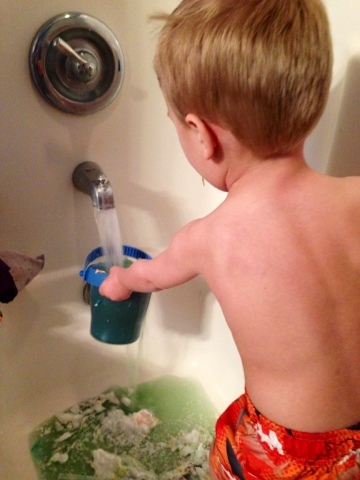 Some blogs say to use a squeegee. But I just used my hands. No biggie. 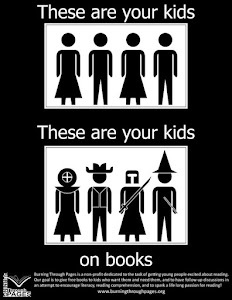 I'm still trying to figure out what to do with our pretty shapes. 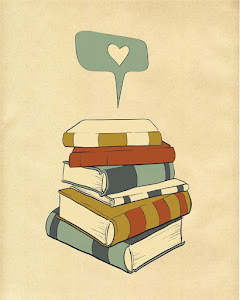 Ideas are welcome!